On Wednesday, Arutz Sheva published an interview with Dr. Yair Hirschfeld, one of the architects of the Oslo Accords process, who argued that the accords did not cause the wave of deadly terrorism that hit Israel shortly afterward. His argument aroused many responses. Among those who responded was Meir Indor, head of the Almagor group for victims of terrorism, who rebutted Hirschfeld’s claims with a detailed analysis of how, exactly, the Oslo process caused terrorism. Speaking to Arutz Sheva, Indor slammed Hirschfeld’s claims as misleading, but added that he believes Hirschfeld believes what he is saying. “There are dreamers. They aren’t bad people at heart, but when a person is locked in to a certain concept, he comes to accept evil,” he said. What particularly angered Indor was Hirschfeld’s argument that two murders carried out by Jews – Baruch Goldstein’s shooting targeting Muslim worshipers in Hevron and the assassination of then-Prime Minister Yitzchak Rabin – were among the true causes of the “Intifada” violence. “If he’s blaming murders by Palestinians on the Jewish people, that’s borderline evil,” Indor accused. In fact, he said, the Oslo Accords led directly to terrorism. The first issue was transferring control over security, including counter-terror operations, to the hands of the Palestinian Authority, he said. While there was a precedent of sorts – Israel had transferred much of the responsibility for security in southern Lebanon to the South Lebanon Army – the situation with the PA was different, because it gave the PA far more autonomy than the SLA had, he said. The fact that the PA army was primarily Muslim while the SLA was Christian was also a factor, he said. “How can you put foreign, hostile armed forces in the tiny space between the Jordan River and the Mediterranean, and allow it to bring in weapons and to train some 13,000 officers? We built this monster with our own hands,” Indor said. The PA “security control” not only did not slow terrorism, but had the opposite effect, he noted – more than three times as many Israelis were murdered by terrorists after the Oslo Accords as were killed in the “First Intifada” wave of terrorism, when the IDF still patrolled the entirety of Judea, Samaria and Gaza. “Removing the fear of legal consequences – the IDF let Palestinian commanders in at the border. [IDF] officers who saw the process called it an outrage, saying, ‘how can it be that after we caught the terrorists, they bring in new terrorists?’… Terrorists planning attacks knew the authorities would ignore them, and if they were caught, at worst, they would be tried and the ‘revolving door’ would go into effect. “This weakness led to a jump in the number of terrorist attacks,” Indor concluded. “Many believed in this peace, went out to tour the area believing peace had come, and were murdered,” he mourned. One example of a direct link between Oslo and terrorism was the Israeli army’s withdrawal from Bethlehem, which led to daily gunfire on the nearby Israeli neighborhood of Gilo, Indor continued. The turning point in fighting terrorism was the “Defensive Shield” operation, which began after the Park Hotel massacre, and which included IDF operations in the heart of PA-controlled Arab cities. That operation showed how far the situation had deteriorated since before the Oslo Accords, Indor said. Those who masterminded the attacks were “Hirschfeld’s friends,” he said, naming Jibril Rajoub and Marwan Barghouti in particular as senior PA leaders formerly beloved of the “peace camp” who were deeply involved in terrorism. Indor also responded to the argument that the PA is in the process of creating a de-facto state already. Under a PA autonomy similar to a state, the IDF can still fight terrorism in PA areas when necessary, he said, but if the PA officially establishes a new Arab state of “Palestine,” it can turn to the UN and ensure that the IDF has no ability to operate against terrorism within its borders. At the end of the day, Netanyahu, Gronis and Mandelblit have some questions to answer. We lost the latest round of the war on terror. It was on Independence Day that we first learned of the tunnel being dug underneath the prison walls, ready for the escape of 120 terrorists. President Peres, during an interview on Channel 1, was asked whether he thought it appropriate, in exchange for negotiations, to accede to the Palestinians’ demand to free murderers. He answered affirmatively, and it became instantly clear that we had a problem. A month earlier, the Palestinians had begun appearing in the Israeli media to sound off their demand to release the pre-Oslo prisoners. After all, they explained, these people are old already. Anyone who saw the footage of the terrorists who were released this week knows very well that this was cheap propaganda. The receptions held for the freed prisoners featured forty-year-old murderers who wouldn’t have any difficulty returning to terrorism, or at least recruiting the next generation. That’s the business on which another “old” person, Samir Quntar, recently visited Gaza. As long as these people were in jail, the terrorists organizations didn’t have enough professional manpower for organization and recruitment. Following the interview, our bereaved families began looking into the matter, but a decoy was quickly dispatched to distract us, with MK Ofir Akunis appearing in the Knesset to announce that there was no plan to free terrorists. Today Akunis says he was misled. But that doesn’t stop him from defending the man who sent him—Benjamin Netanyahu. And what of Netanyahu? He fell under the pressure coming from Kerry. But then why did he send Akunis to make that announcement? Why not accept pressure from the right too? Whatever the case, in the end Netanyahu buckled and paid out, as usual. To be sure, this was not a precondition. This was advance payment. The Security Cabinet did everything in its power to make good on the first 26-murderer installment during the long night before talks began. At midnight I received a call from senior figures at the Justice Ministry with a request that I forward to the families with whom we had filed our petition the message that the cabinet had reached the “disappointing” decision to release their loved ones’ murderers. My interlocutors wanted to send me the list of of victims per murderer. I requested. I demanded. But I didn’t realize what was the ministers’ “problem”: the requirement that a release take place no less than 48 hours after the announcement. And if they made the announcement any later, the Palestinians wouldn’t receive the payment on time and the talks would be delayed by a few hours. In brief, Minister Livni, who had received my message, decided to reject our request. The bereaved parents were to have another sleepless night. They have plenty of sleepless nights as it is. Then there’s another person who works for the Palestinians. This one sits on the Supreme Court. When Abbas and Kerry pressure Netanyahu, they know that at the critical moment, the court will come to their rescuse and refuse to interfere with letting out the murderers. Murders committed? Sentences handed down by courts? You wouldn’t know it. Without a doubt, all the legal authorities are dominated by political interests. And yet this time we held out hope that the court would intervene, because this time all the red lines were to be violated. For the first time ever, payment was being made before negotiations even had begun. Murderers were being released as a gesture—another first. And even so, the judges were not bothered. Who, then, is not eligible for special treatment? The bereaved parents, of course. When I asked His Honor Justice Grunis to hear out the bereaved families, he refused—unlike his predecessors, who had big enough hearts to listen to the families at just such difficult times. Then came the outburst by Miriam Tobul and Dr. Gila Molcho. Miriam and her husband, whose son was murdered, once spent Shabbat with me across from the Prime Minister’s Office, back in the Rabin days, demonstrating for a harder line on terrorism. Rabin let us in twice and heard her out. Grunis did not care to listen. He did not understand that standing in front of him was a mother fighting to keep her son’s memory alive. Miriam’s screams echoed throughout the media alongside the screams and dripping tears coming from Gila. Gila lost her brother, Ian Feinberg. Ian, with his faith in the goodness of people, had served in the JAG Corps in Gaza. After the Oslo Accords broke out, he was sent by the European Union to help the Palestinians set up a system of taxation there. It didn’t help. The EU-hired guards murdered him. And now Abbas has no problem demanding their release. After all, he was a Jew. He was worthy of death. The EU, Kerry, and the Government of Israel also don’t have any problem with that. The scum have returned home. “What message is the Israeli government sending here?” Gila screamed, crying, standing there alongside her family members, all of them Zionists who made aliya from South Africa. In the end, Grunis gave a signal, and the guards removed the bereaved families from the courtroom. When I read the verdict, I finally understood: the Israeli Supreme Court has accepted the idea that the Palestinians have been pushing: murdering Jews is okay as long as it’s done in the service of the goals of Palestinian terrorism. Then it stops being a concern of the court and becomes merely a political issue. The court could easily have put an end to this judicial farce and the creeping erosion of the rule of law: “There are judges in Jerusalem, and jailed terrorists are off-limits to political negotiations.” The court could have explained that, in the name of justice, it could not allow this to happen. But the judges suddenly turned humble. Aside from a few words of condolences to the families, the injured victims and mourning families were sent home, knowing that the murders were headed home to festive receptions, while their victims remained under the ground. Just a few hours before the terrorists were released, we thought we were saved. It turned out that eight of the murderers had committed murders after the Oslo Accord, and therefore did not satisfy the criteria set and discussed by the government. For Palestinians who see terrorism and murder as part of a legitimate struggle, the Oslo Accord is to supposed to represent the date when the fighters laid down their weapons, and those already jailed should be freed. Rabin, though, did not see fit to free them, despite signing the Oslo Accord, because they had blood on their hands. Rabin had been around for the Jibril Deal, the traumatic release of murderers in exchange for three IDF forces that he had seen through along with Peres and Shamir. Rabin had seen how those freed had led the First Intifada, and he had no interest in repeating the mistake. Bibi, though, was convinced by Kerry and Abbas to do just that. Journalist Hagai Segal discovered that Chaim “Chaimu” Mizrachi, a Hapoel Tel Aviv soccer player who became religious and moved to Bet El, was murdered a month-and-a-half after the accord had been signed. Other Jews also had been murdered after the Oslo Accord, and their murderers also wanted to take part in the festivities. Take the murderers of Isaac Rotenberg, a Holocaust survivor who worked as a plasterer and manual laborer and was murdered with axes by laborers who worked in his building. Take the murderers of Moshe Becker, who made aliya from Europe and was murdered in his orchard. Segal sent us the document he was using to date the signing of the Oslo Accord: a notebook of government protocols that recorded that day as 9 September 1993. Still, I thought, maybe the idea of releasing only pre-Oslo terrorists hadn’t been discussed with the cabinet ministers, but only broadcast and disseminated to the media? I called Minister Uri Ariel. He confirmed that at the cabinet meeting, the topic at hand had been the release of pre-Oslo terrorists only. The families appealed once again to the Supreme Court. But the terrorists were saved by cabinet secretary Avichai Mandelblit, formerly the chief military advocate general of the IDF. He counts from the same date as the PA, namely the date on which the Oslo Accord came into force. Up until that date, it was okay to murder. Granted, there had been a ceremony in Washington. Granted, there had been letters exchanged between Rabin and Arafat to the effect that there would be no more violence. But the date that appeared in the government protocol was significant neither for the murderers and their organizations nor for our legal commentators. What is the meaning of this burst of generosity, of giving the Palestinians whatever they demand? What is this unbearable flippancy with which you relate to the memory of victims whose murderers don’t even reflect the spirit of the agreement with the Palestinians? Why are you looking for excuses to release them, insead of doing the opposite? Israel’s ambassador to Sweden causes an uproar after comparing Israel’s release of terrorists to Norway releasing Breivik. Israel’s ambassador to Sweden, Isaac Bachmann, caused an uproar this week when, in a radio interview, he compared Israel’s release of 26 terrorists as a “gesture” to Palestinian Authority Chairman Mahmoud Abbas to Norway releasing mass murderer Anders Behring Breivik. Breivik is currently serving a 21-year prison sentence for killing 77 people, mostly youths, by planting a bomb outside Oslo’s main government building and later opening fire on a youth camp on the island of Utoya. The attacks took place in July of 2011. “To put it in Scandinavian understanding, we can say that the atrocities committed by these Palestinian prisoners can be compared to the actions of Breivik in Norway,” Bachmann said in the interview. Following the interview, families of the victims of Breivik’s massacre protested Bachmann’s remarks and argued that there is no room to compare between the release of terrorists by Israel and the mass slaughter committed in Norway. Some of the families claimed that the situation in the Middle East is different because there, they said, there is a genuine struggle “against the occupation”. 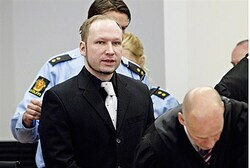 Shortly after the court in Norway sentenced him last year, Breivik apologized for not having murdered more people. He recently applied to study political science at the University of Oslo, angering some of the faculty who said they would refuse to have any contact with the 34-year-old killer. The Almagor Terror Victims Association expressed support for Bachmann’s remarks and denounced the distinctions made by the victims’ families between the murder of Jews and the murder of Norwegians. “The argument that the Palestinians are fighting for freedom is an argument that supports terrorism and in that sense, in retrospect after they suffered a terrorist act, they should make the following conclusions: Murder is murder and terror is terror. There is no justification for a Norwegian madman slaughtering children and there is no justification for a normal person killing children,” said Almagor. Ian Feinberg came to Israel from South Africa when he was 18 and worked tirelessly for the advancement of the Palestinian people • In 1993 he was murdered by Palestinian terrorists in Gaza • This week, one of his killers was freed as a gesture. Like every mother, Gillian Feinberg has that unscientific but accurate gut feeling when it comes to her children. “There are those moments that are etched in your memory that you recall after a terrible tragedy happens,” she says, describing what she went through on April 4, 1993, the terrible day that her son, attorney Ian Feinberg, was killed. Over the past two weeks, Gillian and the other members of her family have been revisiting that horrible day in the office building in Gaza where Ian was murdered. Two busy weeks of protests, media interviews and attending hearings at the High Court of Justice on the petition submitted by the Almagor Terror Victims Association against the release of the Palestinian prisoners went by. But as everyone knows, ultimately the petition was rejected and the murderers, including Ian’s killers, were released last Tuesday night. Another one of his killers had already been released in the 2011 prisoner exchange in which Gilad Schalit was released. Ian Feinberg’s story is unique. He was not an unfortunate bystander or anonymous victim who happened to be in the wrong place at the wrong time. Feinberg devoted his life to helping the Palestinians improve their economic standing. Many of his colleagues saw him as one of their own, and after he was murdered, the Palestinian street, too, was shocked and stunned. Feinberg’s family, who marked the 20th anniversary of their eldest son’s murder four months ago, never imagined that they would have to deal with the ghosts of the past yet again. For 20 years, his family has been trying to pick up the pieces and move on, and in a stroke of one government decision, the wound has been ripped open once again. In all honesty, it never healed. Feinberg, who was murdered shortly before his 30th birthday, was survived by his wife and three small children. Feinberg’s family moved to Israel from South Africa out of Zionist motives when Ian was 18. Gillian keeps the trembling out of her voice and the tears from her eyes throughout the entire interview, but when I ask her to tell me about her son, she can no longer keep from weeping. “Ian was my eldest son. He was a tall and strong young man, but gentle and good. He had a black belt in karate, he was a smart kid, a real genius, but very modest and quiet. He always had a wonderful smile. His connection with the Palestinians began when he served as an attorney for the IDF Military Advocate General inside Gaza. After completing his army service, the law office where he worked accepted a project from the European Union whose purpose was to establish a flour mill in Gaza. Naturally, Ian was assigned to the project. On the day of the murder, Feinberg was in the EU offices in Gaza for a business meetings. At midday, he and his colleagues went to lunch, and afterward, Ian went back to the office on his own. The murder had been planned in advance, and the murderer was waiting for him on the roof of the building. One of the workers there, whom Ian knew well, collaborated with them, notifying the murderer that Ian had returned and was in his office. Feinberg was attacked a short time later and died of several stab wounds to the neck. The family found out only recently, at the High Court hearings, that the first killer had been released as part of the deal that freed Gilad Schalit. Are you angry with the state about the release? “As far as I’m concerned, the prime minister should have spoken about it with the public. He should have explained the significance of the act to the people of Israel, said that it was difficult, that he was sorry, but it had to be done. It’s the least he could do, in my opinion. It would have eased our pain a little. But they way it was done simply hurts. I felt they had gone behind my back, as if they were hiding something. Ian Feinberg was a good person who believed that people were good at heart and trusted them—and that, as his mother believes, was what led to his death. “That fact is the hardest one for us,” she says. “The fact that one of his friends betrayed him when all he wanted to do was help them, give them a leg up. Ian believed that if the Palestinians developed a good, strong economic infrastructure, they would be able to move forward and help themselves. He really thought that if we helped them develop their economy, they would live with us in peace. But that didn’t happen. Ever since the names of the Palestinian prisoners to be released from jail was publicized, and efforts to prevent the release began, the Feinberg family has undergone an emotional whirlwind that they did not think they would ever experience. Do you believe that the prisoner release will help move the peace process forward? Do you sometimes regret having moved to Israel? “No. We moved here for Zionist reasons and we’ve had a good life here for many years. There are so many questions of ‘what would have happened if …’—if Ian hadn’t worked there, if we hadn’t moved here at all. But there’s no sense in thinking about those things. There are people who leave Israel because they don’t want something to happen to them here. So they move to the United States or Canada, and something terrible happens to them there, of all places. It seems that was his fate, and there’s nothing to be done about it now. Israel’s Supreme Court rejected a petition against the release of 26 Palestinian prisoners filed by the families of their victims. Supreme Court President Asher Grunis on Tuesday morning issued a statement rejecting the petition, which said the decision to release the prisoners should made by the entire Knesset through legislation and not by a small group of government ministers. The court said the release of prisoners did not require legislation. 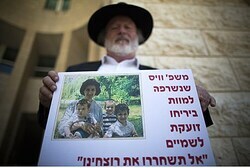 The petition was filed by the victims’ families and the Almagor Terror Victims Association. The government of Israel agreed to release the prisoners in order to bring the Palestinians back to the peace negotiating table. Late Monday, the prisoners to be released were transferred to the Ayalon Prison in Ramle for processing. They are scheduled to be released no earlier than midnight Tuesday and more likely early Wednesday morning. Some 14 prisoners will be transferred to Gaza, several of whom are members of Hamas. Eight prisoners on the list were due to be released in the next three years and two in the next six months. Twenty-one of the prisoners on the list were convicted of killing Israelis or Palestinians accused of being collaborators, and most had served at least 20 years. Eventually 104 prisoners jailed before the 1993 Oslo Accords will be released in phases over the next eight months, pending progress in the talks. The peace talks are scheduled to resume Wednesday in Jerusalem following a three-year freeze, but the Palestinians have threatened to skip the meeting in protest over the order in which the prisoners are being released as well as the announcement of new construction in the West Bank and eastern Jerusalem, according to reports. Almagor, an organization that represents victims of Arab terrorism, responded with sorrow to the High Court decision to reject its motion against the release of 26 terrorist murderers, as a “gesture” to the Palestinian Authority (PA). Almagor chairman Meir Indor said, “We regret very much that the court, like the prime minister, did not even listen to the serious arguments regarding the government’s crossing of red lines, including the fact that some of the terrorists being released committed their crimes after the Oslo accords were signed. “The Supreme Court locked its gates today before the bereaved families and the Jewish terror victims – something it does not do when it comes to any Palestinians,” Indor added – noting, among other past decisions by the High Court, its willingness to force the state to change the route of the security fence, at the cost of hundreds of millions of dollars, because of complaints by Arabs. Stage now set for release of 26 Palestinian security prisoners. The court’s decision, following a heated but affirmative vote by the government last week, removed the final barrier for pardoning the prisoners and releasing them. The court rejected the central argument of Almagor that this release specifically was more unreasonable than prior releases because terrorists with blood on their hands were being released as part of a general process and without even receiving any Israelis in return, such as during the Gilad Schalit deal. According to the court, these distinctions were not significant enough for it to violate the cardinal principle that it does not get involved in matters of state, and a prisoner release in the framework of peace talks was emphatically a matter of state. Next, the court disposed of Almagor’s argument that the current policy of giving the families the final list of prisoners planned to be released only 48 hours before violated their rights under a law granting families of victims to submit opposition in writing to a planned pardon of whoever harmed their family member. The court said that this law applies only to individual prisoners being pardoned for reasons specific to that prisoner, and was not applicable at all to a general pardon being granted to a group of prisoners in the context of a state-sponsored peace process. The court also cited the state’s argument that it had gone above and beyond its obligations by giving Almagor information about all of the prisoners, even though the current policy of giving the families of victims details about prisoners being released 48 hours before does not apply to West Bank prisoners, only to those in Israeli prisons. Multiple times the court noted that the first round – 26 prisoners out of 104 due to be released in four segments over nine months – included only Palestinians and not Israeli Arabs, who reportedly will be in later releases. It was unclear if the court noted this as a potential stronger argument for Almagor in the future or merely to describe the prisoners being immediately released. Releasing prisoners who have committed such grave crimes is “the hardest kind of decision,” said the court. The court also accepted and quoted the state’s argument that the deal was balanced and well conceived, since if the peace process did not go well, future planned prisoner releases will be canceled. The justices made no reference or response to the angry jeers and shouts from the victims’ families that followed them as they hustled out of the court room on Sunday. “The Supreme Court today closed the door before bereaved families and Jewish victims of terror – something it has not done to Palestinians,” Almagor stated, listing the suspension of the building the security barrier and acquiescence to requests to stop certain interrogation and arrest procedures as examples of the court’s bending to the will of the Palestinians. Terror victims’ group held on to hope until the last minute, but High Court said it would not prevent terrorists’ release. The High Court rejected a motion by the Almagor group for victims of terrorism, to block the release of Arab terrorists from prison that is scheduled to take place Tuesday night. Before the decision, Attorney Naftali Wertzberger, who represents Almagor, said that he believes the release of the 26 terrorists, which the Israeli goverment has described as a “gesture” to PA Chairman Mahmoud Abbas, could still be prevented. The court had not yet issued a verdict in Almagor’s appeal against the release, which is unusual, he told IDF Radio (Galei Tzahal). “The very fact that the court has not yet issued a decision leaves room for hope,” he explained. He noted that on Monday it was revealed that the list of terrorists to be freed includes six who were jailed for crimes committed after the Oslo Accords were signed, despite government statements saying only pre-Oslo killers would be freed. “If the court prevents the release of only those six – it will be small comfort,” he said. The release is scheduled to take place Tuesday. Almagor’s problem with the planned terrorist release lies elsewhere. “The problem as we see it is moral. There’s a precedent for releasing members of terrorist groups, but not murderers,” Wertzberger explained. “All these years they’ve said they won’t free people with ‘blood on their hands,’ and now we see them freeing terrorists who murdered people with an axe, who did terrible things, horrific things,” he added. “The question is a moral one and the explanations calling this a diplomatic matter aren’t relevant here. No country on earth would release people like this, under circumstances like this,” he argued. He linked the plan to free terrorists to the death Monday of 98-year-old Nazi war crimes suspect Laszlo Csatary. “The Nazi criminal who died did similar things to those who will be freed. There’s a dissonance between chasing down everyone who murdered people and prisoner release,” he said. Wertzberger’s argument echoed a reaction from Rabbi Eliezer Weiss, whose wife and three young sons were burnt to death in a terrorist attack 22 years ago. The Weiss family’s murderers are expected to go free as part of the prisoner release deal. Who Are the Palestinian Prisoners Set for Release by Israel? 26 inmates are scheduled to be released as confidence-building measure, including 21 convicted of murder. The following is a list – with information provided by the Almagor Terror Victims Association – of the 26 Palestinian prisoners scheduled to be released from Israeli jails on Tuesday as part of confidence-building measures offered by Jerusalem in an attempt to bolster recently restarted Israeli-Palestinian peace talks. 1. Fayez Mutawi al-Khur, who established a Fatah cell of 20 members and was jailed in November 1985 for the murder of Menahem Dadon and the attempted murder of Salomon Abukasis. The two had been shot in the Gaza City market two years earlier. 2. Salah Ibrahim Ahmed Mugdad, who was arrested in June 1993 for the murder of Israel Tenenbaum, a 72-year-old security guard at the Sirens Hotel in Netanya. The Fatah member struck Tenenbaum on the head with an iron bar and stole a television set from the hotel. 3. Samir Nayef al-Na’neesh, who was arrested in March 1989 for the murder of Binyamin Meisner, a reservist killed the previous month while on patrol in Nablus. Meisner was confronted by members of al-Na’neesh’s cell, causing him to enter an alley where other cell members were waiting with rocks. 4. Yusef Abdel Hamid Irshaid, who was arrested in March 1993 for the murder of Nidal Rabo Ja’ab, Adnan Aj’ad Dib, Mofid Can’an, Tawfik Jaradat and Ibrahim Said. Irshaid suspected them of collaborating with Israel and killed them after a violent interrogation. He was also convicted of numerous attempts to kill others he suspected of collaboration. 5. Mustafa Othman al-Haj, who was arrested in June 1989 for the murder of 48-year-old Steven Frederick Rosenfeld. Rosenfeld had been hiking in the hills near Ariel and was stabbed with his own knife by a group of shepherds, who hid his body. 6. Salameh Abdallah Musleh, who was charged in October 1993 with the murder of Reuven David two years earlier. David, 59, owned a Petah Tikva grocery store. He was beaten and robbed by Musleh and an accomplice. 7. Atiyeh Salem Musa, who, along with an accomplice, used an ax to murder a Jewish co-worker, 67-year-old Isaac Rotenberg, during Passover 1994. The murder took place while Rotenberg was hunched on his knees fixing a floor at his place of employment in Petah Tikva. He was struck on the back of his neck, dying two days later. 8. Salah Mahmoud Mukled, who was arrested in July 1993 for the stabbing death in a Gush Katif greenhouse of Yeshayahu Deutsch, his Jewish employer, and the attempted murder of another local resident. 9. and 10. Mohamed Abdel Majid Sawalha, who was arrested for murder and attempted murder in December 1990, and his accomplice, Hosni Faregh Sawalha, who was charged with murder and for being an accessory to murder. The two, minors at the time, stabbed to death 24-year-old Baruch Yaacov Heisler, a passenger on a bus from Petah Tikva to Tel Aviv. They attempted to attack other passengers as well. A second accomplice was killed by a police officer. 11. Atef Izzat Sha’ath, who was arrested in March 1993 for being an accessory to murder after driving three terrorists to the crime scene and driving them away afterward. The victim, Simcha Levy, made a living in Gush Katif by providing transportation to local workers. The terrorists were dressed as female agricultural workers and rode in Levy’s vehicle, where they stabbed her to death and fled. 12. Yusef Said al-Al, who was charged in February 1994 with throwing explosives and for being an accessory to murder. He and accomplices threw two hand grenades at a Border Police unit. The grenades did not explode. He also planted a bomb near a Border Patrol facility and assisted in the murder of a Jewish civilian by passing on information about the lack of soldiers in the area where the killing took place. 13. Midhat Fayez Barbakh, who was arrested in January 1994 for murder. 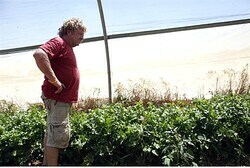 He participated in the ambush of his employer, 61-year-old Moshe Beker, who was in charge of an orchard in Rishon Lezion. Along with two others, Barbakh waited for Beker in the morning and upon his arrival stabbed him to death with a knife and a pair of pruning shears. 14. Ali Ibrahim al-Rai, who was arrested in April 1994 for the murder of Moris Eisenstatt. Al-Rai killed the 79-year-old by striking him in the head with an ax as Eisenstatt sat on a public bench in Kfar Saba. 15. Mohamed Jaber Nashbat, who was arrested in September 1990 for being an accessory to murder. Nashbat threw rocks at 46-year-old soldier Amnon Pomeranz and poured gasoline on his vehicle, after which it was set alight with Pomeranz inside. The murder took place at the Al Burej refugee camp in the Gaza Strip. 16. Samir Hussein Murtaj, who was convicted in October 1993 for the abduction, interrogation through torture, and murder of four local residents: Samir Alsilawi, Khaled Malka, Nasser Aqila and Ali al Zaabot. The victims were suspected of having collaborated with Israel. 17. Faraj Saleh al-Rimahi, who was arrested in July 1992 for the ax murder of 84-yearold Avraham Kinstler in the Sharon region. While in prison, he also engaged in efforts to obtain a weapon for abducting a soldier. 18. and 19. Ala Eddin Ahmed Abu Sitteh and Ayman Taleb Abu Sitteh, who were charged with murder in January 1994 after they stabbed to death David Dadi, 43, and Hayim Weizman, 33. The two were killed while sleeping at Dadi’s apartment in Ramle. The Sittehs, who had been working in a nearby apartment, severed the victims’ ears after killing them. 20. Esmat Omar Mansour, who was arrested in October 1993 for being an accessory to murder. A minor at the time, Mansour helped subdue the victim, 30-year-old Hayim Mizrahi, who was on his way to buy eggs from an Arab-owned farm near his home. Mizrahi’s body was stuffed into the trunk of his vehicle, which the terrorists used to flee. 21. Khaled Mohamed Asakreh, who was charged in May 1991 with murder in the stabbing death of French tourist Annie Ley. Ley was dining at the restaurant where Asakreh was employed. 22. and 23. Nihad Yusef Jundiyeh and Mohamed Mahmoud Hamdiyeh, who were arrested in July 1989 for the murder of Jewish contractor Zalman Shlein. The two minors stabbed Shlein to death with a knife after traveling with him to a construction site where he was building a house. They also beat him with an iron pole. 24. Jamil Abdel Wahab Natsheh, who was charged with being an accessory to murder in December 1992 for acting as the escape driver for terrorists who shot at IDF soldiers at the Cave of the Patriarchs. One soldier was killed and another was wounded. 25. Taher Mohamed Zaboud, who was arrested in February 1993 for murder, hijacking a vehicle and attempting to steal a weapon. Zaboud’s accomplice fired shots at the driver, Avraham Cohen, but fled when they realized he was not carrying a weapon. 26. Burhan Subaih, who was arrested in February 2001 for the murder of Jamil Muhammad Naim Sabih and Aisha Abdullah Haradin. Israel released 26 long-serving Palestinian prisoners late Tuesday as part of an American-brokered deal allowing the resumption of Israeli-Palestinian peace talks on Wednesday. A cheer went up as the president of the Palestinian Authority, Mahmoud Abbas, escorted 11 of the prisoners into the presidential compound here after 1:30 a.m. Wednesday. The crowd, made up mainly of relatives and friends of the returning prisoners, had started to thin out but grew larger as they approached. After the official reception, they sped off to their homes around the West Bank in convoys, their pictures taped to the car windows, their horns honking. 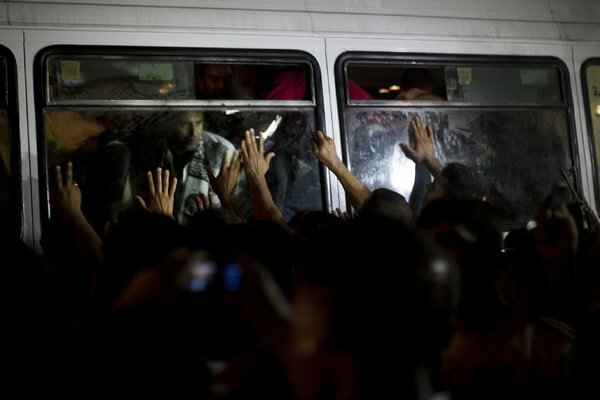 The other 15 prisoners released by Israel went directly to their homes in Gaza. The overnight release was widely thought here to have been timed by Israel to try to minimize scenes of celebration and news media coverage. The Palestinian public has also been somewhat apathetic over an Israeli gesture seen by many Palestinians as too little, too late. Still, here on the Palestinian side of the divide, the prisoners, most of whom had served 20 years or more in prison for deadly attacks against Israelis, were viewed as political prisoners who had sacrificed for the cause and a potent symbol of resistance to Israeli occupation. “For sure, they are heroes,” said Husam Sawalha, 38, the brother of a released prisoner, Hosni Sawalha, from Azmut in the northern West Bank. Husam Sawalha said that the whole village would join in a big celebration on Wednesday. But like the visceral struggle over history, land and birthright that has made the lengthy conflict so intractable, this cause for Palestinian rejoicing was a source of deep anguish in Israel. Israel had released Palestinian prisoners before, usually in exchange for captured Israeli soldiers. This release, many Israelis said, was too painful a concession with too little in return. “What sort of peace is this?” asked Meir Indor, the chairman of Almagor, an Israeli organization that represents victims of terrorist attacks. “The Palestinians are getting a rubber stamp from the United States and Israel to kill legitimately,” he said in an interview at the Israeli Supreme Court. The court rejected his petition to halt the release, ruling that such decisions were the government’s prerogative. 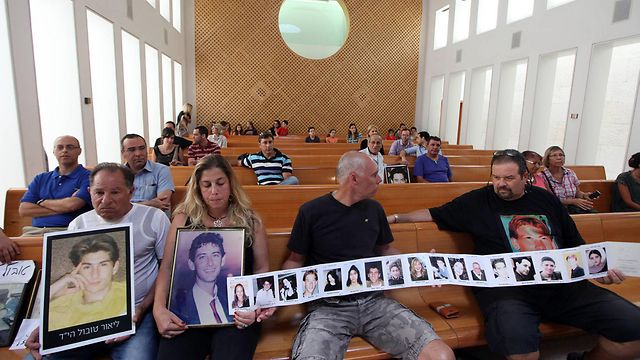 Israeli newspapers were filled this week with photographs of the victims of the prisoners to be released and of the victims’ relatives holding protests and vigils. Most Israelis view the returning prisoners as terrorists, not freedom fighters. In 1990, when they were 16 years old, Hosni Sawalha and his cousin Muhammad Sawalha boarded a bus near Tel Aviv and began stabbing passengers, killing Baruch Heisler, a 24-year-old Israeli, and injuring others. The cousins were convicted of murder and attempted murder and were sentenced to life in prison. Hosni Sawalha’s brother, Husam, said they had been reacting to Israeli pressure on the Palestinians, adding that Israel had confiscated land from their village for a nearby Jewish settlement. More than 100 relatives and friends from Azmut came to greet the two men at the presidential compound. A group of young men chanted, “With our blood and souls we will redeem the prisoners,” as they danced in a circle. The mothers of the released prisoners were dressed in white, as if for a wedding. Asked if killing Mr. Heisler, a civilian riding the bus, had been a heroic act, Nasseem Hawamdeh, a friend of the cousins from Azmut, said that Palestinians killed by Israeli soldiers were also civilians. The Palestinian leadership has long demanded the release of prisoners who were convicted of crimes committed before the Oslo peace accords of 1993 took effect. As an incentive to keep the Palestinians at the negotiating table, Israel has agreed to release a total of 104 long-serving prisoners in four stages, beginning Tuesday and continuing over the next few months. Some of the prisoners’ relatives in Ramallah spoke of the wasted years in prison and the need for peace. “Nations change,” said Abdel Halim Ahmed Irshaid, 80, a cousin of a released prisoner from a village near Jenin who had been sentenced to four life terms plus 45 years for his involvement in the killing of an Israeli Druze citizen and three Palestinians suspected of collaborating with Israel. “This is one step toward ending the war between us and the Jews,” Mr. Irshaid added. Also among those released was Yousef Said Abdel Al from Gaza, where hundreds of relatives and supporters waited to greet the freed prisoners at the Erez crossing. Mr. Abdel Al was convicted of being an accessory to the murder of Ian Feinberg, an Israeli lawyer who was bludgeoned to death with an ax in 1993 while working on a European aid project in Gaza. He was 30 and married with three children. Mr. Feinberg had done an internship as a civilian working for the Israeli military prosecution in Gaza. Later, he was asked to work on the European project because of his good relations and contacts there. This week, outside the Supreme Court in Jerusalem, where the family had joined the petition against the prisoner release, Gillian Feinberg remembered her son as somebody who had always tried to help the underdog. Tel Aviv is braced for angry demonstrations following the publication of the names of 26 Palestinian prisoners to be released by Israel on Wednesday as part of the build-up to peace negotiations. Since the publication of the names on Sunday, the Israeli government has been flooded with protest letters written by families of terror victims. Members of the public have two days to appeal. 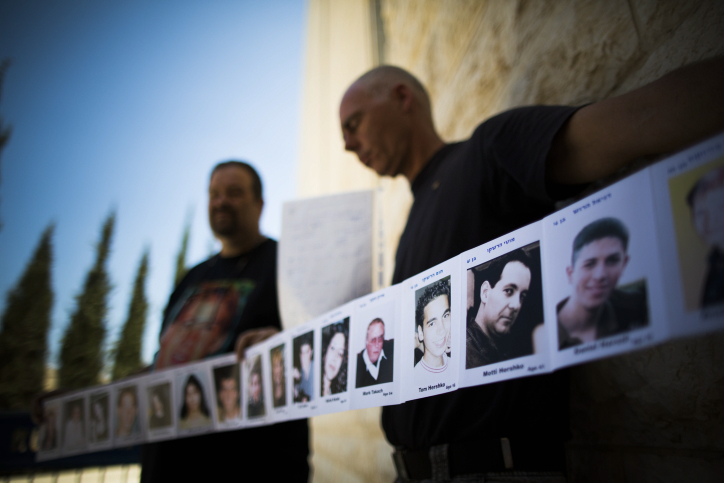 According to Haaretz, 21 of the 26 were convicted of killing Israelis or suspected Palestinian collaborators. Among the 26 prisoners, three were members of the Popular Front for the Liberation of Palestine, two from Hamas and one from Islamic Jihad. Over the coming months, 104 Palestinian prisoners will be released as part of a peace-talks deal brokered by the US. Meanwhile, Israel’s Housing Minister Uri Ariel has approved the construction of 1,187 housing units in East Jerusalem and the West Bank. The terrorist that murdered Yeshayahu Deutsch, a prominent farmer in Kfar Yam, Gush Katif, will be released this week in accordance with the government’s decision to set free 104 terrorist murderers, as a “gesture” to the Palestinian Authority (PA). In 1993, Yeshayahu was called into his greenhouse by his workers, where they carried out the attack and killed him. Moshe Deutsch said that no state official has bothered to notify them of the release. “Had it not been for the Almagor anti-terror organization, we wouldn’t have known at all that they were releasing him before he was set free. Almagor head Meir Indor spoke with us; they call it the first throb of pain, but for us it is not a throb of pain, because we are still left with the loss,” he said. The Deutsch family was previously involved in a struggle with the government, when the state decided to demolish their Jewish-owned farm in the Judean hills. Yaakov and Miriam Tubul, whose son Lior was stabbed to death, don’t understand how Israel can set murderer free. 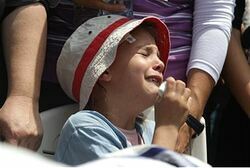 Yaakov and Miriam Tubul, whose son Lior was stabbed to death by terrorists 23 years ago, are enraged with the government’s decision to set free 104 terrorist murderers, as a “gesture” to the Palestinian Authority (PA). The pained and grief-stricken parents say they cannot understand the government’s decision. “How can you release a murderer who stabbed an innocent Jewish youth 17 times, in the heart of Jerusalem? These are animals, not human beings,” cried Miriam. On August 4, 1990, Lior left his home at Kiryat Yovel with his friend, Ronen Levi Karamani. The two were supposed to meet a friend at Givat Ze’ev, in northern Jerusalem. Another friend took them in his car to the bridge at the neighborhood of Ramot. When they failed to show up at the meeting, the friend phoned the Tubuls and the search for the two began. It turned out that a car with three terrorists inside it took the two from the bridge. The terrorists threatened the two, tied them up and then stabbed them in numerous parts of their body. Their bodies were found in a wadi between Beit Hanina and Ramot, two days later. They were given a joint funeral and buried side by side. The Almagor terror victims’ group says that one of the three terrorists who murdered the two boys, Abd-el Jawad Shamasna, is on the list of terrorists whom the government intends to release in the “gestures” for the “peace talks” with the PA. However, he does not appear to be in the first batch of terrorists, who are to be released this week. Some 20 Israelis whose loved ones’ killers are set to be released as part of renewed peace talks between Israel and the Palestinians marched from the Mount Herzl cemetery to the Supreme Court in Jerusalem on Sunday in protest of intended prisoners’ release. Attorney Michal Tzuck-Shefer representing the State said that the decision is one for the government but noted that if negotiations fail the release can be halted. The bereaved families marched holding pictures of their loved ones and white flags. 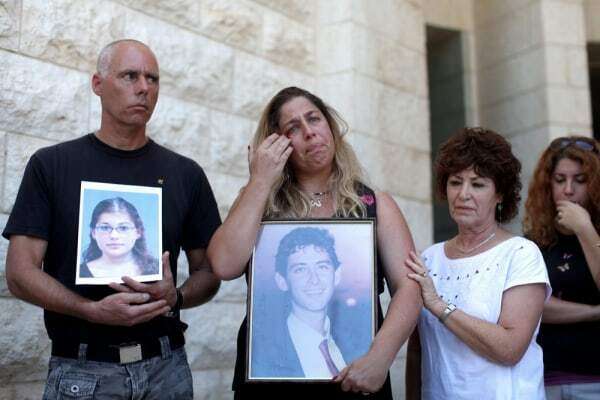 Miriam and Yaakov Tobol, who lost their son Lior in a terror attack in 1990 said that on Thursday they got a call from the National Insurance Institute informing them that their son’s killer will be released this week. Established two weeks ago, the ministerial committee will convene for the first time on Sunday evening to determine which 26 prisoners will be released on Tuesday – a day before Israeli and Palestinian negotiators meet in Jerusalem. An official list has yet to be released but some bereaved families claim to have already been informed that their loved ones’ killers are about to be freed. Gila Molcho lost her brother Ian Feinberg while on a European Union mission in Gaza. “Where are the people of Israel? Why am I here alone,” she cried. “We are selling ourselves cheap. Every person I’ve met told me how right I was and how wrong this (the release) is, but no one looks me in the eyes. Oded Karmani, who lost his brother Ronen, said that one of his brother’s murderers was released in the Shalit deal. “We consented then to the release of murderer for a live soldier, which has so much value. But we’ve come here today to cry out against the release of criminal murders, among them my brother’s murderer, for nothing. “How can we believe them, when Abu Mazen keeps declaring that terror is his way. How can we believe them, when 40% of prisoners who are freed go back to terror. We are crying here in the face of those who killed, murdered, bombed and slaughtered and are now being released as heroes with no reward. The criteria by which the ministers will determine the prisoners’ identities were set by the Shin Bet, which categorized prisoners based on different parameters. The aim is that the identity of those released will bolster Palestinian President Mahmoud Abbas’ while also being reasonably accepted by the Israeli public. The Shin Bet’s lists will be presented to the ministers Sunday, and the names will be released to the public after the meeting. The law stipulates that prisoners’ names must be published in the Shin Bet website 48 hours prior to the release. President Shimon Peres will probably not have to sign paroles, since most of the prisoners released in the first round are Palestinian citizens—in which case the military grants their release. “There will never be peace here, it is very difficult to cope.” This is the sentiment of the families of the victims of the 26 prisoners expected to be released as part of resuming peace talks between Israel and the Palestinians. They responded Monday morning with disapproval to the decision to include the killers of their loved ones on the list of those to be released. Meanwhile, dozens of protesters, including bereaved families and representatives of Almagor, My Israel and Im Tirtzu organizations, are rallying outside the Kirya in Tel Aviv against release. “We came to try and stop the murderers’ release. This is a black day for the bereaved families and citizens,” said Avi, a protestor, cousin of Avraham Brumberg, killed in 1981. The protesters are carrying signs reading “Have we gone mad” and waving pictures of loved ones who were murdered. At the same time, the Almagor Terror Victims Association turned to the High Court of Justice and requested to issue an injunction to prevent to release of 26 Palestinian prisoners Tuesday. “I feel horrible,” said Bella Beker, widow of the late Moshe Beker, a citrus grower from Rishon Lezion, who was murdered in 1994. The killer, Barbakh Faiz Rajab Madhat who was sentenced to life imprisonment, is included on the list of those to be released. The prisoners are scheduled to be freed from Israeli prisons by Wednesday. The first installment which brings with it the release of 26 Palestinian prisoners also includes Abu Moussa Salam Ali Atiya, one of the murderers of Holocaust survivor Isaac Rotenberg in Petah Tikva in late 1994. His son, Pinchas, who lives in Azor, said this morning that the family members are hurt and frustrated by the decision of the Ministerial Committee, and especially the fact that it is not within the power of families to change the decree. Matan added, “During Passover in 1994, at age 67, while he was repairing a floor and was down on his knees, two Arab workers, aged 18 and 23, came into the building, and struck him in the neck with an ax. He was seriously injured and fell into a coma. Days later, he died of his wounds. Today, 19 years after the murder, the government decided to release the killers,” he said. “They are now aged 37 and 42. They have their entire lives ahead of them. They will get a monthly salary from the Hamas government. They will return to their families in the Gaza Strip, be carried on their shoulders, hold up the victory sign, they will be received as heroes and live the rest of their lives happily. Because of the fact that they killed an elderly pensioner with whom they worked. From them I expect this, but I did not expect it from the government I elected. Making a gesture for agreeing to sit and talk. When we reach agreements, then release them,” Matan said. Harris added that she had not mentioned the expected release to her elderly mother. Despite the pain, she hopes that the move may be end up with a positive result. Israeli terror victim organization Almagor reacted early Monday morning to the announcement of the names of the first 26 prisoners to be released as a gesture of goodwill to the Palestinians. “This is a day of celebration for the Palestinian terror organizations, and a sad day for bereaved families and for Israeli society,” Almagor head Meir Indor said. The Israel Prison Service published on Sunday overnight a list of 26 Palestinian prisoners who will be released from Israeli jails ahead of renewed peace negotiations after a ministerial panel approved their release. The names of the prisoners were released on the Israel Prisons Service website after the families of the victims were notified of the pending release. The public now has 48 hours to appeal the release. The first 26 Palestinian prisoners on the Israel Prisons Service list do not include any Israeli citizens. Number 26 on the prisoner list is a man reportedly arrested in February 2001, contradicting statements that prisoners were to be pre-Oslo detainees. Fourteen of the 26 Palestinian prisoners are to be released to the Gaza Strip, and the remaining 12 will go to the West Bank, the Prime Minister’s Office said in a statement close to midnight. Eight of those to be released were in any event to be released over the next three years, with two of them up for release within the next six months. Three of the five ministers authorized by the cabinet two weeks ago to draw up the list of 26 prisoners to be released in four stages over the next nine months of negotiations met late Sunday night to come up with the names. Officials on Sunday night confirmed that 26 of the 104 pre-Oslo Palestinian prisoners will be released before Justice Minister Tzipi Livni and PLO negotiator Saeb Erekat meet Wednesday in Jerusalem to begin talks. Demonstrations are expected to take place today (Monday), at the Ministry of Defense in Tel Aviv, against the decision to release the 26 terrorists, some of whom were serving life sentences. The bereaved families were to stage a demonstration on Monday afternoon in front of the Kirya Defense Headquarters in Tel Aviv to protest the prisoner release. On Sunday, they petitioned Israel’s High Court of Justice in an attempt to prevent the release. The court has historically refrained from intervening in such processes. Families of terror victims now have 48 hours to appeal the government decision. Late Sunday night, the families sent an urgent letter to government ministers requesting the chance to appear before them to plead their case. They sought an hour for each family. The families also sought to appear before President Shimon Peres, who is due to sign most of the pardons for the Palestinian prisoners. The president has no plans to meet with the families, Army Radio reported Monday. Gilad Shalit was an Israeli soldier kidnapped by Hamas terrorists in 2006. He was released in 2011 in exchange for 1,027 Palestinian prisoners, some of whom, like those being released as a concession to the Palestinian Authority for the resumption of the peace talks, were convicted of murdering Israeli citizens. Molcho said that the prisoners to be released “are murderers who …will return to their ways,” adding that that they will be considered heroes who will become Palestinian leaders while Israelis suffer. Molcho added that she hoped Prime Minister Benjamin Netanyahu would change his mind. “Our blood is not a gesture,” she said. The identities of the prisoners were made public on the Israel Prisons Service website, www.ips.gov.il, at approximately 1 a.m. The names and I.D. numbers of the prisoners were listed alongside the names of their victims. Initially, the PMO would only say that 14 of the prisoners “will be transferred to Gaza” and 12 “were from Judea and Samaria [the West Bank].” Eight of the prisoners were in any case slated to be released over the next three years, having served out their sentences, the PMO noted. Two were already slated for release in the next six months. “In the discussion [of the panel on Sunday], it was emphasized that if any of the released [prisoners] return to hostile activities against the State of Israel, they will be returned to complete their prison term,” the PMO statement said. The prisoner release is set to take place on Wednesday, the same day as the next round of peace talks is set to begin in Jerusalem. The two sides are set to meet again the week after in the West Bank town of Jericho. Negotiations between Israel and the Palestinian Authority were restarted two weeks ago in Washington, after over three years without direct talks. The sides have agreed to a nine month timeline in an attempt to reach an agreement and end the conflict. Palestinian Authority President Mahmoud Abbas said on Sunday that no freed Palestinian prisoners will be deported, despite claims by Israel that it will demand that some West Bankers be sent to Gaza or neighboring Arab countries. Abbas added that Israeli Arabs and Jerusalem residents would be among the rest of the 104 prisoners to released by Israel in three more phases as the talks continue. Ziad Abu Ain, the deputy Palestinian prisoners minister, told AFP that the PA “welcomed the release of any Palestinian prisoner from Israeli jails,” and expressed his hope that the older prisoners would be the first ones freed. “We hope that Israel will commit to releasing the rest of the prisoners, and ask and hope the Palestinian side will have a partner to choose the conditions and names of those set to be released,” Abu Ain said. “Israeli politicians have succumbed to terror and are covering it up with a series of publicity stunts. We shall fight to see terrorists punished,” he added. Families’ advocate: We are releasing prisoners with blood on their hands and receiving nothing in return. The High Court of Justice on Sunday heard the Almagor Terror Victims Association petition to block the government’s recent decision to release 104 of the worst Palestinian prisoners with “blood on their hands,” starting with a first round of releases on Tuesday. The highly controversial prisoner release was decided on recently by the government as part of a last goodwill gesture required for restarting the peace process with the Palestinians for the first time in years, which, if continued, will result in three further releases over the next nine months. At a press conference right before the hearing, Almagor head Meir Indor, proclaiming his opposition to the release said, “What kind of justice is this? The High Court should tell America and the Palestinians that there are judges in Jerusalem!” The victims’ families worked hard to try to convince the court that there were unique reasons for blocking this release deal, though the court has refrained over and over again from intervening to block similar deals in the past. “With Gilad Schalit, we got him back. Here, we are releasing prisoners with blood on their hands and receiving nothing in return,” attorney Naftali Wurzburger told the High Court during the hearing. Wurzburger also tried, likely in vain in light of the judges negative responses, to convince the court that the moral aspects of the issue removed it from being a sovereign statecraft issue which the executive branch could decide without judicial oversight. The state responded telling the court that there was no precedent for it to interfere with government decisions to release terrorist-prisoners – even with blood on their hands. The state also emphasized that it had promptly provided all information about the prisoners being released to those victims’ families who had made official requests to the Justice Ministry. It added that it could not be accused of failing to provide the information, noting that Almagor was already displaying some of the information on its website. The hearing ended with the three justices hastily shuffling out of the room to the angry jeers and shouts of the victims’ families. Earlier in the day and leading up to the noon showdown before the High Court, the Almagor association held a protest and march on Mount Herzl against the release of the Palestinian prisoners. Beginning around 10 a.m., the protesters began marching, carrying black flags and banners. The protests continued at the memorial for terror victims and then moved on to the High Court itself, where a press conference of victims’ families addressed the assembled media. The killers of Ron Kehrmann and Yossi Tzur’s children were released during the Schalit deal, but they came to support the current families petitioning the court. Members of the Fineberg family spoke of their dead relative Ian, who was killed 20 years ago while trying to build an EU-sponsored factory in Gaza to bring jobs to Gazans and further peace. The family said that one nearby Palestinian had tried to stop the factory security guard who murdered Ian by saying “Don’t kill him, he is one of ours,” but the murderer killed him anyway. Other victims also spoke up, shouting “Our dead are crying out!” and “Stop this injustice!” Also on Sunday, another group, the Organization for Victims of Terror, said that it had sent a letter to Prime Minister Binyamin Netanyahu two weeks ago asking questions about the release and had never received an answer. A spokesman said that, putting aside whether the deal was justified, many members of the organization felt that Netanyahu and the government were avoiding them, and they first found out about the deal from the media, rather than the state having the sensitivity to pre-inform them. Israeli terror victim organization Almagor reacted on Sunday night to the announcement of the names of the first 26 prisoners to be released as a gesture of goodwill to the Palestinians. “This is a day of celebration for the Palestinian terror organizations, and a sad day for bereaved families and for the Israeli society,” Almagor head Meir Indor said. The Israel Prisons Service publicized early Monday the list of the first 26 convicted terrorists who will be released as part of Israel’s confidence-building measures to help the restart of peace talks with the Palestinian Authority. The list included 17 names of prisoners who had murdered Israelis, including Abu-Musa Salam Ali Atia of Fatah, who murdered Holocaust survivor Isaac Rotenberg in a Petah Tikvah construction site in 1994. According to Almagor, an organization of terror victims’ families that has campaigned against the prisoner release, Rotenberg’s family perished in the Sobibor extermination camp during World War II. Rotenberg escaped and joined the partisans fighting the Nazis in the forests of Eastern Europe. He arrived in Israel in 1947, joined the IDF and fought in Israel’s Independence War on the Lebanese front. Another prisoner, Salah Ibrahim Ahmad Mugdad, also of Fatah, was imprisoned in 1993 for killing 72-year-old Sirens Hotel security guard Israel Tenenbaum by beating him in the head with a steel rod. According to Almagor, the Poland-born Tenenbaum had immigrated to Israel in 1957, at age 36, and settled in Moshav Ein Vered. He was an agricultural worker on the moshav, but was working as a night watchman at the hotel in 1993. Tenenbaum was 72 at the time of his death. He was survived by a wife, two children and four grandchildren. Two of the prisoners, Abu Satta Ahmad Sa’id Aladdin and Abu Sita Talab Mahmad Ayman, were imprisoned in 1994 for the murder of David Dadi and Haim Weizman. After killing Dadi and Weizman as they slept in Weizman’s apartment, the attackers cut off their ears as proof of the killing. Abdel Aal Sa’id Ouda Yusef was imprisoned in 1994 to a 22-year sentence for several grenade attacks, and for his part as an accomplice in the murder of Ian Sean Feinberg and the murder of Sami Ramadan. Feinberg, a 30-year-old father of three, was a proponent of Palestinian economic development. He was killed by gunmen who stormed a business meeting in Gaza City which he attended in April 1993. Also on the list was Kour Matwah Hamad Faiz of Fatah, imprisoned in 1985 after he was convicted of killing Menahem Dadon and Salomon Abukasis in 1983 and planning to murder then-prime minister Yitzhak Shamir. Another two prisoners to be released, Fatah members Sualha Fazah Ahmed Husseini and Sualha Bad Almajed Mahmed Mahmed, were imprisoned for a stabbing attack on a crowded Ramat Gan bus, on the 66 line, in 1990. The two, together with a third accomplice, stabbed wildly at passengers, killing 24-year-old Baruch Heizler and wounding three young women. Heizler was named after his grandfather, who was killed during the Jordanian bombardment of the Jewish neighborhoods of Jerusalem during the 1948 Independence War. Sha’at Azat Shaban Ata was imprisoned in 1993 for helping to orchestrate the murder of 51-year-old Simcha Levi, a woman who made her living transporting Palestinian day laborers to work in Jewish settlements in the Gaza Strip. In March 1993, three of the women laborers were disguised male attackers, who beat and stabbed her to death. Maslah Abdullah Salama Salma, a Hamas member likely to be sent to the Gaza Strip after his release, was imprisoned in 1993 for the brutal murder of Petah Tikvah convenience store owner Reuven David. Abdallah, together with an accomplice, entered David’s convenience store on May 20, 1991, bound David’s arms and legs and beat him to death, before locking the store and fleeing the scene. Born in Iraq in 1932, David was 59 at the time of his death, and was survived by a wife, three children and multiple grandchildren. Na’anish Na’if Abdal Jafer Samir, imprisoned in 1989 for the murder of Binyamin Meisner. Arsheed A’Hameed Yusef Yusef, imprisoned in 1993 for the murder of Nadal Rabu Ja’ab, Adnan Ajad Dib, Mufid Cana’an, Tawafiq Jaradat and Ibrahim Sa’id Ziwad. Al-Haaj Othman Amar Mustafa, imprisoned in 1989 for the murder of Steven Rosenfeld. Maklad Mahmoud Zaid Salah, imprisoned in 1993 for the murder of Yeshayahu Deutsch. Barbach Faiz Rajab Madhat, imprisoned in 1994 for the murder of Moshe Beker. Nashabat Jaabar Yusef Mahmed, imprisoned in 1990 for serving as an accessory to the murder of Amnon Pomerantz. Mortja Hasin Ghanam Samir, imprisoned in 1993 for the abduction, torture and murder of Samir Alsilawi, Khaled Malka, Nasser Aqila, Ali al Zaabot. Faraj Saleh al-Rimahi, imprisoned in 1992 for the murder of Avraham Kinstler. Mansour Omar Abdel Hafiz Asmat, imprisoned in 1993 as an accessory to the murder of Hayim Mizrahi. Asarka Mahmad Ahmad Khaled, imprisoned in 1991 for the murder of Annie Ley. Jandiya Yusef Radwan Nahad, imprisoned in 1989 for the murder of Zalman Shlein. Hamdiya Mahmoud Awed Muhammed, imprisoned in 1989 for the murder of Zalman Shlein. Abdel Nabi A-Wahab Gamal Jamil, imprisoned in 1992 for the murder of Shmuel Gersh. Ziwad Muhammed Taher Taher, imprisoned in 1993 for the murder of Avraham Cohen. Sabih Abed Hamed Borhan, imprisoned in 2001 for the murder of Jamil Muhammad Naim Sabih, Aisha Abdullah Haradin. A special ministerial panel on Sunday approved the release of the prisoners. “In the wake of the government’s decision to renew diplomatic negotiations between Israel and the Palestinians and to authorize a ministerial panel for prisoner releases for the duration of the negotiations, the ministerial panel met this evening,” read a statement by the Prime Minister’s Office released after 11 p.m. Sunday. The father of an Israeli man who was knifed-to-death said he was dismayed that the government of Prime Minister Benjamin Netanyahu was set to release a prisoner connected with his son’s slaying. Yusuf Abdel Al was sent to prison after being convicted of having prior information about an April 18, 1993, attack that ended in the death of Israeli lawyer Ian Feinberg, Cyril Feinberg’s son, in Gaza. Feinberg, a 30-year-old married father of three, was working with an NGO funding Palestinian house-building and had been active in international Zionist youth organization Bnei Akiva, according to Israel’s Almagor Terror Victims Association. Abdel-Al is among 26 Palestinian prisoners set to be released in the next few days as part of a deal tied to upcoming peace talks. They will be the first of 104 prisoners slated to be let go during the course of the U.S.-backed negotiations. Speaking from Al Bureij refugee camp in Gaza, Abdel Al’s sister Muftiyeh said her family was surprised and happy with the decision to release her brother. The three Palestinians convicted in the killing of Feinberg were released as part of the last major prisoner swap deal – when 1,027 Palestinians were let go in exchange for one Israeli soldier, Gilad Shalit, on Oct. 18, 2011. Feinberg’s sister, Gila Molcho, told NBC News Monday that the family did not protest the previous release since it was in order to achieve Shalit’s freedom – he had been held by Hamas for over five years. But now she said the family is angered by the release. “We are paying the price for nothing. That’s not a peace process,” said Molcho. The list of prisoners set to be released this time also includes Abu-Musa Salam Ali Atia who killed Holocaust survivor Isaac Rotenberg in a Petah Tikvah construction site in 1994, The Times of Israel reported. A panel of three cabinet ministers headed by Defense Minister Moshe Yaalon and security and legal personnel made the decision to release the 26 late on Sunday. Families of Israelis victimized by the inmates’ attacks have 48 hours to appeal the decision, but based on past decisions, the court was unlikely to intervene, according to Reuters. Saeb Erakat, the chief Palestinian peace negotiator, welcomed the release but added that he was disappointed too. “We expected to take part in choosing the names with the Israelis, but as usual the Israelis like to dictate to us,” he said. Palestinian President Mahmoud Abbas had demanded the release of these men, many held since before a 1993 interim peace deal with Israel, as a condition for agreeing to resume talks that broke down in 2010 in a dispute over Jewish settlement building. Also on Sunday, Israel’s housing minister gave final approval for building nearly 1,200 new settlement apartments on lands the Palestinians want for their state, just three days before the talks on the borders of such a state were to begin in Jerusalem. 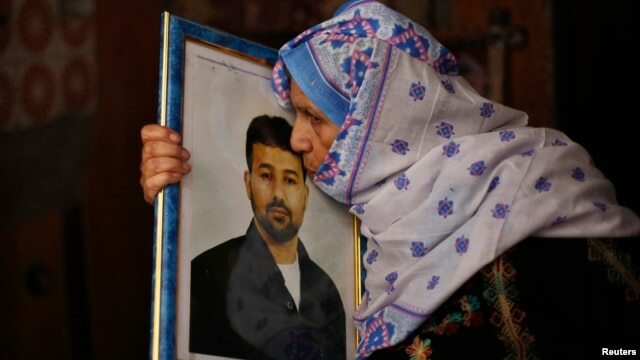 The mother of Palestinian Salah al-Shaer, who has been held by Israel for 20 years, kisses his picture after hearing news on the expected release of her son by Israel, in Khan Younis, in the southern Gaza Strip, Aug. 12, 2013. Israel has published the names of 26 long-held Palestinian prisoners it plans to release ahead of Israeli-Palestinian peace talks on Wednesday. Most of the Palestinians to be freed were jailed in the late 1980s and early 1990s for murder and attempted murder of Israelis and other Palestinians suspected of collaborating with Israel. The 26 prisoners are the first of 104 inmates that Israel has agreed to release in stages depending on the progress of the U.S.-backed peace talks. “This is an important thing for us. The prisoners who will be released, most of them were sentenced to a lifetime [in jail]. The majority of them have spent more than 20 years in the [Israeli] occupation jails. I think this is an important achievement,” said Issa Qaraq. An Israeli organization representing victims of terrorism expressed outrage at the Israeli government’s move. Almagor head Meir Indor said it is a sad day for the families of those killed by the soon-to-be released Palestinians. 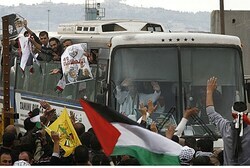 Relatives of the 26 prisoners celebrated the Israeli announcement. In Bethlehem, women and children sang and danced at the home of Khaled Mohamed Asakreh. He was arrested by Israel in 1991 and convicted of stabbing to death a 64-year-old female French tourist at a restaurant where he worked as a waiter. Khaled’s brother Nayef expressed mixed emotions. “I feel good, but I wish my parents were still alive to welcome Khaled after this long period. My father spent 20 years visiting his son and waiting for the moment to see Khaled [free],” said Nayef Asakreh. Israel published the prisoners’ names early Monday, triggering a 48-hour period in which Israelis can petition the nation’s highest court to block the releases. But, the court is not expected to intervene. The publication came hours after Israel approved the building of almost 1,200 new homes in occupied areas claimed by the Palestinians. Palestinian officials criticized Sunday’s move as an attempt to undermine the peace process. The areas where the new homes will be built include parts of East Jerusalem and the West Bank. Palestinians claim East Jerusalem and the West Bank for a future state, and say Israeli settlement expansion will make it harder for them to achieve that. Israeli government spokesman Mark Regev rejected the criticism, saying the new homes will be located in areas that Israel is likely to keep in any peace deal. The U.S. government refuses to accept the legitimacy of Israeli settlement activity. It has called on both Israelis and Palestinians to avoid actions that complicate negotiations. A 25 Petition Losing Streak: Why Don’t the Terror Victims’ Families Throw in the Towel? The current deal’s structure, of splitting the release into four stages over nine months, giving more chances for the state to pull-out. Meir Indor, head of the Almagor Terror Victims Association, was up front with the High Court of Justice on Sunday about his likelihood of success in blocking Tuesday’s planned release of some of the worst Palestinian prisoners with “blood on their hands” as a last good faith move by Israel to renew the peace process with the Palestinians. Indor described 30 years and 25 petitions of defeat to the court. Why experience the public humiliation and revisit the pain of his and others’ lost ones so many times when, at least in terms of the prisoners’ releases, petitioning the High Court has always been in vain? First, there is always a chance that the unique framing of the particular deal could lead the judges to a different conclusion. Whether the legal outcome is different or not, there is certainly room to argue, if only from basic notions of justice, that a deal based on giving back prisoners with no blood on their hands, such as thieves, is different than releasing murderers. At least some theories of justice hold that murderers are punished not merely to deter and prevent future crime, but to obtain justice for the victim and the victim’s loved ones. Next, one can at least argue that the premise of what is being received in return for releasing prisoners could frame a deal differently: whether it is the dead bodies of soldiers, a live soldier like Gilad Schalit or the more amorphous but also potentially greater impact of the idea of moving forward the peace process. The justices might react different to an argument that 1,000 prisoners for only one is concrete but unequal, than the argument that nothing guaranteed as concrete is being received in return, as here. Some might have thought that Supreme Court President Asher D. Grunis, who was brought into office by the right-wing and had never led a panel on the issue before, might be more sympathetic than his predecessor, Dorit Beinisch, viewed as more left-wing. But this would mistake the reason that the court has not intervened. The reason the court, through all the changings of the guard over the years, has not vetoed a deal is because of its fundamental commitment to preserving the sovereignty of the executive branch in matters of state. In other words, the deal can be a bad deal, but if the state can muster any argument for it, even if the argument has holes, the court will stay out of it. All indications from Grunis’s impatience with the victims’ families’ side indicated that this petition will merely extend the terror victims’ losing streak. The other possible reason that Indor continues his perpetual victory-less battle is that with every hearing, there is increased public debate and pressure on the executive branch to think twice about making another deal. There is evidence that this tactic has worked from all the deals that did not happen. Even the Schalit deal happened only after numerous failed proposals, generally when the Israeli side pulled out, saying the price sought by Hamas was too high. The current deal’s structure, of splitting the release into four stages over nine months, giving more chances for the state to pull out of the later deals, no doubt emerged from pressure the government felt about what would have happened if it released all 104 prisoners and the negotiations fell apart after only a month. Indor may be win-less in court, but he has built up quite a few points over the years in public opinion and in pressure on the executive decision-makers. The Almagor Terror Victims Association has filed a petition with cabinet ministers and the prime minister demanding the floor be given to bereaved families in the course of hearings to discuss Palestinian prisoners up for release. A ministerial committee will convene on Sunday night to discuss who will be the first 26 prisoners to be released as a gesture to the Palestinians at the outset of resumed peace talks. Families of victims of terrorism marched through Jerusalem on Sunday in a protest against the government’s plan to approve the release of 26 terrorists. They marched from the central memorial for terrorism victims, located in Mount Herzl in Jerusalem, to the Supreme Court building, where the court is to hear a petition against terrorist release filed by the Almagor organization. Gila Molko, one of the marchers, could not hold back her tears as she called on the Israeli public to come join the victims’ families. “Today I march alone, but tomorrow I hope that the nation of Israel will join me. I’m begging you to come, where are you, Israel?” she asked, speaking to Arutz Sheva. The parents of Lior Tubol, who terrorists kidnapped and murdered, expressed outrage at the plan to release their son’s killers. “Twenty years out of a life sentence?! It won’t happen. I won’t let it happen,” Lior’s mother declared. “Does the United States free terrorists?” she demanded. 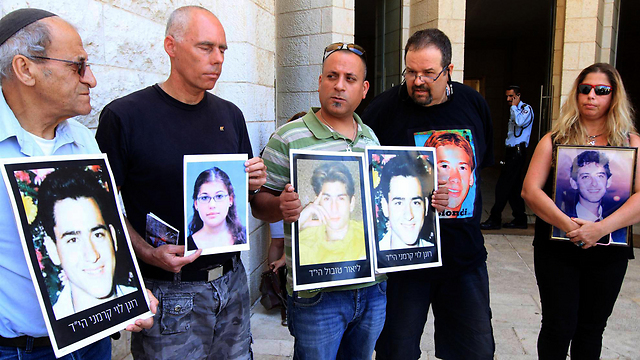 Ron Kehrmann and Yosef Tzur both lost teenage children in a bus bombing in Haifa in 2003. They expressed hope that the Supreme Court would give them justice. “It’s not moral to release our children’s murderers. For the government of Israel to free terrorists is not moral or ethical,” they argued. “Today we march with white flags to symbolize how the government of Israel was bullied by the Palestinians and the Americans into releasing terrorists with blood on their hands,” the two said. Israel agreed to free the terrorists—including many who admitted to horrific murders—as a “good-will gesture” to the Palestinian Authority, which views the imprisoned terrorists as “freedom fighters” and national heroes. Israeli terror victims Sunday protested the government’s plans to release 104 Palestinian prisoners days before the first group is to be set free. Carrying black flags and banners, protesters affiliated with the Almagor Terror Victims Association demonstrated at the terror victims memorial at Jerusalem’s Mount Herzl cemetery Sunday morning. The protesters said they would march to the High Court of Justice building, The Jerusalem Post reported. In the evening, a ministerial committee was to convene to draw up the list of names of the first 26 Palestinian prisoners to be released by Israel before the renewal of talks with the Palestinians begins in Jericho Wednesday, Israel Radio said. As a measure of good faith, Israel agreed to release 104 Palestinian prisoners incarcerated in Israel prior to the signing of the 1993 Oslo Accords. Prisoners are to be released in four groups, the first on Tuesday. Defense Minister Moshe Yaalon and Justice Minister Tzipi Livni, heading negotiations with the Palestinians, and Minister of Science and Technology Yaacov Peri will draw up the first list of prisoners to be released, the radio said. The names of the prisoners will be published and those who object will have 48 hours to appeal to the High Court of Justice, the radio said. Noon showdown to occur before the High Court of Justice as the Almagor Terror Victims Association attempt a last ditch effort to stop Palestinian prisoner release that includes known murderers. Leading into a noon showdown before the High Court of Justice, the Almagor Terror Victims Association on Sunday was currently holding a protest and march on Mount Herzl against the release of 104 of the worst Palestinian prisoners with “blood on their hands,” planned to take place on Tuesday. The highly controversial prisoner release was decided on recently by the government as part of a last good will gesture required for restarting the peace process with the Palestinians for the first time in years. Beginning around 10:00 a.m., the protesters began marching, carrying black flags and banners. Almagor Head Meir Indor said that the protests would continue at the memorial for terror victims and then move on to the High Court itself, due to hear Almagor’s petition to block the release. The expected release of 26 prisoners this week will constitute the first of four stages in releasing 104 Palestinian prisoners who were incarcerated for attacks that took place before the signing of the Oslo Accords in 1993. The agreement to release prisoners as a precondition to peace talks has been highly controversial and has incited the worries of many Israelis. “This is not a political issue for me; it’s a moral one,” said Jeff Daube, director of the Israel office of the Zionist Organization of America, during an Almagor demonstration a couple of weeks ago. State to release identities of first 26 prisoners to be freed; prisoners incarcerated for attacks before signing of Oslo Accords. The ministerial panel responsible for deciding how to conduct the graduated release of Palestinian security prisoners as part of a gesture for resuming direct peace talks is expected to convene on Sunday and approve a list of 26 prisoners to be released on Tuesday. The 26 prisoners will constitute the first of four stages in releasing 104 Palestinian prisoners who were incarcerated for attacks that took place before the signing of the Oslo Accords in 1993. The “Panel of Five” (consisting of Prime Minister Netanyahu, Defense Minister Moshe Ya’alon, Public Security Minister Yitzhak Aharonovich, Justice Minister Tzipi Livni and Science and Technology Minister Yaakov Perry) was authorized by the government to decide on how to conduct the release. The Palestinian Authority hopes to receive the names of the prisoners tomorrow after the committee holds its final hearing. Last Sunday, the cabinet approved the release of 104 long-serving Palestinian prisoners in stages over the next nine months according to progress in the talks. According to state officials, the first prisoners to be released have served the longest sentences, and in many cases only a short amount of time remains until their sentences are complete. The idea behind the gradual release, according to Israeli officials, is to ensure that the Palestinians uphold their commitments during the initial nine months of negotiations not to take unilateral actions during this period against Israel in the UN or at other international forums, and not to immediately walk away from the negotiating table. The state on Wednesday asked the High Court of Justice to uphold its decision to release the prisoners, including some of the worst murderers with “blood on their hands” in custody to the Palestinian Authority. The state’s request was filed in response to a recent petition by the Almagor Terror Victims Association to block the prisoner release deal by preventing President Shimon Peres and OC Central Command Maj.-Gen. Nitzan Alon from issuing pardons. Israeli and Palestinian negotiators held their first peace talks in nearly three years in Washington on July 30 in US-mediated efforts to end the conflict of more than six decades. “Negotiations between the Israelis and Palestinians will be resuming Aug. 14 in Jerusalem and will be followed by a meeting in Jericho (in the West Bank),” State Department spokesperson Jen Psaki told a briefing. On both sides, the renewed peace negotiations have been met with skepticism and at times even anger, particularly regarding Israel’s decision to release the Palestinian prisoners as a prelude to the talks. On July 30, Israelis and Palestinian negotiators, Tzipi Livni and Saeb Earakat held the first peace talks in three years in Washington under US-mediated efforts with the objective to reach an agreement on all issues within nine months. Israel and the Palestinians will resume their talks on August 14 in Jerusalem, the US State Department said. “Negotiations between the Israelis and Palestinians will be resuming August 14 in Jerusalem and will be followed by a meeting in Jericho, in the West Bank,” State Department spokeswoman Jen Psaki told reporters. On July 30, Israelis and Palestinian negotiators, Tzipi Livni and Saeb Erakat, held the first peace talks in three years in Washington under US-mediated efforts with the objective to reach an agreement on all issues within nine months. Psaki said US envoys Martin Indyk and Frank Lowenstein will travel to Jerusalem to help “facilitate” the negotiations. “(US State) Secretary Kerry does not expect to make any announcements in the aftermath of this round of talks,” she specified. In the meantime, in a letter to John Kerry, the chief Palestinian negotiator, Saeb Erekat, said Israel’s latest settlement construction announcements were “an indication of Israel’s bad faith and lack of seriousness” in the talks. Israel said this week it had given preliminary approval for the construction of more than 800 new homes in Jewish settlements in the West Bank. Psaki said Washington had taken up the issue with the Israelis. “The United States does not accept the legitimacy of continued settlement activity and opposes any efforts to legitimize settlement outpost,” she said. “The Secretary has made clear that he believes both the negotiating teams are at the table in good faith and are committed to making progress,” she added. On Thursday, John Kerry and national security adviser Susan Rice met with Jewish community leaders at the White House to update them on the resumption of talks and hear their concerns. Another meeting will be held Friday with leaders from the Arab-American community, Psaki said. According to people familiar with Thursday’s meeting, Kerry outlined a five-track approach for the negotiations with the Israelis and Palestinians: security, economics, international outreach, public outreach, and direct talks between the parties. He also praised Israeli Prime Minister Benjamin Netanyahu and Palestinian Authority President Mahmoud Abbas, saying they were the right people to make a deal. Kerry did address Israel’s new settlement plans, but he suggested he did not want to let the development derail the talks. The people familiar with the meeting insisted on anonymity because they were not authorized to discuss the meeting by name. The Almagor Terror Victims Association against freeing the prisoners filed a petition to the Israeli High Court of Justice to overturn the government to release the 104 Palestinian prisoners. 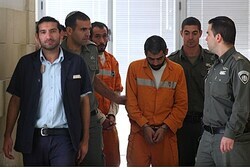 In a response to a petition filed by the Almagor Terror Victims Association against freeing the prisoners, many of whom were responsible for terror attacks that killed and maimed Israelis, the State Prosecution told the court that it had rejected such petitions in the past and in general refrained from intervening in diplomatic issues. The prisoners are slated for release as a gesture of goodwill to the Palestinians in the framework of the resumption of peace talks. With ministers expected to approve the release of security prisoners, Sunday, as a gesture to the Palestinian Authority for resuming direct talks, the Yisrael Sheli and Im Tirtzu Zionist organizations have scheduled a protest demonstration on Monday in conjunction with the Almagor umbrella organization for terror victims and their relatives. Twenty-six prisoners with blood on their hands are scheduled to be freed in the first group out of a total of more than 100 to be released during the course of the talks. The protest is scheduled to last from 4:00 p.m. to 8:00 p.m. in the Sharona Park at the corner of Da Vinci and Kaplan, opposite the Defense Ministry’s Kirya headquarters. Ministers are expected to approve the release of 26 prisoners as a gesture to the Palestinian Authority on Sunday. On Wednesday, the State Attorney’s Office filed its response to the Supreme Court on the petition of bereaved families against the release of terrorist killers. The Almagor terrorist victims association said the release of prisoners was an affront to those injured in attacks and the families of those killed. The State Attorney’s Office replied that the release is purely out of political considerations and therefore the court should not intervene. The government on Wednesday asked the High Court of Justice to reject a petition filed by the families of terror victims against the slated release of Palestinian prisoner, as part of renewed peace talks with the Palestinians. Israel has agreed to release 104 security prisoners who were jailed prior to the 1993 Oslo Accords, as a goodwill gesture to the Palestinian Authority. The prisoners, some of whom are considered “heavyweight terrorists,” will be released in four groups, according to the progress made in the negotiations. The first group is slated to be released next week. The petition, drafted by Attorney Naftali Wertzberger for the Almagor Terror Victims Association, was filed against the state, Attorney-General Yehuda Weinstein the government’s legal counsel and the Justice Ministry’s Amnesties and Pardons Department, demanding to know why they chose not to prevent the release of terrorists in question. “The criteria for releasing terrorists as set during the Oslo Accords and in the deals that were made by all Israeli governments that followed state that anyone who has Israeli blood on their hands will not be eligible for release, and further demands they the [prisoners] who are released sign a pledge not to return to terror. The blank check the government has given the ministerial team [in charge of the prisoner release] means that these red lines are about to be crossed,” Wertzberger wrote in the petition. The state’s rebuttal, which asked the court to deny the petition, stressed that “the pain and sorrow of the families who lost their loved ones in terror attacks is understandable and touching. Unfortunately, the petitioners have paid the ultimate price of terrorism and the state has no way to heal their grief. The bereaved families’ position with regards to releasing prisoners was brought forth and will be brought up again before the presiding bodies to be weighed upon in future decisions. “The issue raised in the petition is at the heart of the current diplomatic effort between Israel and the Palestinians. The High Court avoids interfering with these issues, and in the past numerous petitions to prevent prisoner releases’ were rejected,” the state’s motion read. The state further asked the court to render a ruling as quickly as possible, saying that the ministerial team authorized to rule on the prisoners’ release is set to convene in the coming days, and the first stage of the prisoner release will take place shortly thereafter. The state noted that the ministerial team has drafted the list of which prisoners will be released at which stage, and if the negotiations do not progress, the team can opt not to release more prisoners at later stages. State Prosecution responds to petition filed by terror victims association to overturn cabinet’s decision to release 104 prisoners for peace talks. The High Court of Justice was asked on Wednesday to reject a petition to overturn a government decision to release 104 Palestinian prisoners. The prisoners in question, all of whom committed their crimes before the signing of the Oslo Accords in 1993, are slated for release as a gesture of goodwill to the Palestinians ahead of the resumption of peace talks. The prosecution argued that the petition ought to be rejected sooner rather than later, since the ministerial panel authorized to oversee the releases is scheduled to convene in the coming days to approve next week’s release of a first group of prisoners. That will be the first of four groups to be let go; the rest will be released in accordance with the progress of the Israeli-Palestinian negotiations in the coming months. In the state’s response, the prosecution refers to Prime Minister Benjamin Netanyahu’s remarks on the issue, as well as the cabinet decision made two weeks ago, which the ministers passed by a vote of 13-7, with two abstentions. With regard to the identities of the prisoners, the prosecutor said that these were prisoners who had committed their crimes in the 1980s and early 1990s, before the first agreement between Israel and the Palestine Liberation Organization was signed. Most of them committed serious crimes and have been serving sentences of between 20-30 years. The court was also told that the cabinet had decided that if any of the prisoners return to terror or violate the terms of their release, they can be recaptured and imprisoned again. The prosecution’s response also noted that the petitioner, Almagor Terror Victims Association, had several months ago requested and received information about these prisoners from the Justice Ministry’s Pardons Department when the possibility of releasing pre-Oslo prisoners was first raised. The department gave Almagor information about each prisoner’s crime, his victims, the date of his imprisonment and the length of his sentence. After this information was transferred, the department put itself at the families’ disposal for any queries. The prosecutor added that after the new list of prisoners slated to be submitted to the president is decided upon, it will be publicized 48 hours before the scheduled release and the families will be given a chance to respond. State asks High Court to uphold decision in response to petition by Almagor to stop release of 104 Palestinian prisoners. The state on Wednesday asked the High Court of Justice to uphold its decision to release 104 Palestinian prisoners, including some of the worst murderers with “blood on their hands” in custody to the Palestinian Authority on August 13 as part of the recently renewed peace process between Israel and the Palestinians. In the state’s response, it noted that the government’s decision to release the 104 prisoners went to the government’s fundamental authority over affairs of state and stated that court intervention would be a significant, unjustified encroachment on that authority. Next, the response explains the factors that went into the decision, including the government’s belief that overall the prisoner release gives Israel the potential for improving its security situation by potentially resolving the Israeli-Palestinian conflict. Recounting statements made by Prime Minister Binyamin Netanyahu during the cabinet’s four hour debate on the issue, the state noted his statements that resolving the conflict would also improve Israel’s ability to handle the ongoing unstable “Arab Spring” developments in the region as well as to better isolate threats stemming from Iran. The state added that the release was spread out into four rounds over nine months to better ensure that each round would only occur if the Palestinian side was acting in good faith regarding its peace process obligation. More specifically, the state said that although the first release was set for August 13, the next releases would not be for four, six and eight months respectively. Regarding the specific prisoners to be released, the state said that most of their crimes came before the 1993 Oslo Accords, meaning at a time when Israel and the Palestinians were in an unambiguous state of conflict, and that most had already served between 20-30 year prison sentences. The state added that if any of the prisoners violated the terms of their pardons, they would be rearrested. Next, the state noted that the court had repeatedly upheld its authority to make prisoner release deals, including most recently during the Gilad Schalit deal, and that the state had complied with court-imposed obligations to reveal information on the release to those families that had requested information, and that the state would reveal the full list at least 48 hours before the transfer. The State asked the High Court to reject the appeal filed by the bereaved families and victims organization Almagor, against the release of Palestinian terrorists, as part of the renewal of negotiations. “This is a purely political matter which is completely within the executive authority and the court refrains from getting involved in it, again and again,” wrote the State in response to the High Court. State attorneys challenge that the courts do not have the right to intervene in gov’t decision to release terrorists. Government attorneys have responded to an appeal against the release of 104 convicted terrorist murderers as a “goodwill gesture” to the Palestinian Authority (PA), ahead of US-initiated talks. The case comes as the government prepares to release the first “installment” of murderers this week. In the first release, 26 will be set free, to followed by further installments when and if the PA shows its “sincerity” according to chief Israeli negotiator, Tzipi Livni. An appeal against the release was lodged two days ago by the Almagor terror victims association. On Monday, the court said that Almagor had a good point, and ordered the state to show cause why the terrorists should be released. In response, the state has challenged that the courts have no right to intervene in “purely political considerations” of the government. In a statement, government attorneys said that “The subject of releasing prisoners is an integral part of the political process embarked upon by the government,” adding that the continued, phased release of terrorists would take place as and when progress was made in negotiations with the PA.
State attorneys went on to challenge that the courts have no right to involve themselves in the matter whatsoever, which they claimed was political, not legal. There is widespread popular and political opposition to the government’s decision to release convicted murderers, spanning the Israeli political spectrum, including from members of the ruling coalition. Speaking with Arutz Sheva on Monday, Almagor director Meir Indor claimed that the petition had a good chance of being accepted, because it was based on a precedent set by High Court president Elyakim Rubinstein, who said that while the court generally should not meddle in matters of state, the court could examine whether the state’s actions were legal. According to Indor, the state’s bid to release terrorists crosses several legal “red lines,” not the least of which are the refusal by previous governments – including that of former Prime Minister Yitzchak Rabin – to release these same terrorists. In addition, the releases are coming before any substantial diplomatic activity, and the state cannot justify them in any way without that activity. In addition, he said, criteria hammered out by a government-appointed committee on releasing terrorists have not yet been approved, so it is reasonable to question why these releases would fit those criteria. Despite the fact that such petitions have not been successful in the past, Indor said that there was still a value in presenting them. “It’s a protest and an educational effort, that makes it clear that we know what is permissible and what is not,” said Indor, who said that his group’s efforts were appreciated by many in the IDF and the government.